USB2U raise £330 for Movember! Written on November 30, 2018 . Posted in News. This November, 5 members of USB2U’s trade sales team decided to “grow a mo” to raise money to fund research into some of the biggest health issues faced by men. The Movember campaign is committed to fighting some of the most common health issues faced by men. The funds raised help finance research into prostate cancer, testicular cancer and mental health and suicide prevention. These issues could affect any one of us, be that directly or through friends, family members or colleagues, so it did not take much convincing for the boys to get on board. Not only did the team raise a fantastic amount of money, they also got the conversation about men’s health going in the USB2U office, something which isn’t usually the topic of choice. Talking about these kinds of things is all part of the Movember message to encourage men to open up and get checked out if they have any worries. Movember aims to reduce the number of men dying prematurely by a whopping 25% come 2030, which USB2U think is a fantastic target to strive for and hopefully our small contribution will help towards this goal. Andy, Liam, Rich, Sam and Darren started the month clean shaven, and we have documented their growth with a timelapse video which will be available on our social media channels on 30th November – be sure to check it out! 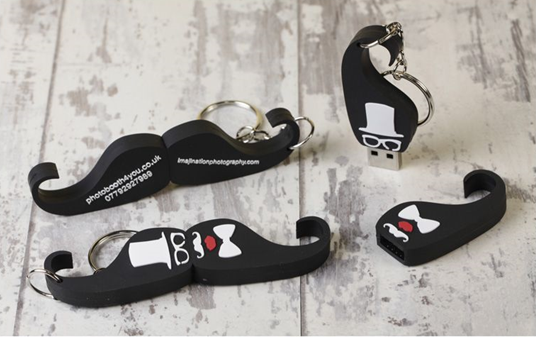 In December, hopefully the only moustaches in the USB2U office will be of the custom USB variety so we can take each other seriously in team meetings!